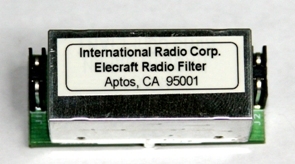 500 Hz 8215 kHz CW 8-pole crystal filter. Discontinued. Use model #701 400 Hz for Elecraft K3.